Bangladesh is a desperately poor country, with most of its 140 million citizens living in abject poverty. The former East Pakistan lies on the Bay of Bengal and is one of the world’s most densely populated countries. This is a nation of low-lying land with extensive deltas where Himalayan rivers empty into the sea and the annual monsoon invariably causes severe flooding that displaces vast numbers of people. Ironically for a country that practically floats, a major concern is sickness caused by poor sanitation and a shortage of uncontaminated drinking water. It is estimated that around a quarter of deaths in Bangladesh stem from water-related diseases; so when the fledgling democracy emerged from civil war with Pakistan in the early 1970s, foreign governments and NGOs (Non-Governmental Organizations) were quick to offer aid. It was imperative to address the chronic problem of inadequate drinking water and there was a concentrated aid focus on the creation of tube wells. Even sophisticated versions are simple, consisting of a stainless steel pipe bored down to an underground water supply with an electric pump lifting water into a small reservoir that often does double duty as the village bathhouse. In Bangladesh, millions of shallow tube wells were created using hand pumps rather than unavailable electricity. This well-meaning policy seemed to make absolute sense, and nobody anticipated the disastrous consequences of this wholesale infrastructure investment. Unfortunately, much of Bangladesh’s groundwater turned out to be infused with arsenic. The problem was not identified until the 1990s, when it became apparent that many of the tube wells were seriously contaminated – to the point where the World Health Organisation described it as ‘the largest mass poisoning in history’. In seeking to solve one acute health problem with the best of intentions, a ticking medical time bomb had been unleashed. Death toll: Unknown, but a significant number of deaths caused by cumulative arsenicosis (poisoning) and assorted arsenic-related cancers have already been recorded … with many thousands more expected in the years ahead. You should know: Once the problem was understood, a concerted program (keenly supported by the very aid agencies that had inadvertently contributed to the problem in the first place) to eliminate contaminated wells was initiated, with a view to ensuring that all tube wells in Bangladesh would deliver arsenic-free water by 2013. Lake Victoria is Africa’s largest lake – and home to one of the world’s largest freshwater fish. The man-sized Nile perch can grow to around 2 m (over 6 ft) and slam the scales down to 200 kg (530 lb). But Lates niloticus is no native, and debate raged in the 1950s with one side promoting the introduction of Nile perch for commercial reasons and the other issuing dire warnings that such a move would decimate one of the world’s most diverse fish environments. The ‘pro’ lobby triumphed, but not by winning the argument. Nile perch were surreptitiously slipped into Lake Victoria from Uganda around 1954, so the genie was already out of the bottle when official introductions followed in 1962 and 1963. But did this prove disastrous, as naysayers predicted? In fact, both sides were right. Once established, the Nile perch of Lake Victoria made a massive contribution to the economies of three countries, supporting not only 150,000 fishermen but also those working in related industries like processing and transport. On the other hand, the fierce new predator decimated original fish stocks with negative consequences for the area’s traditional fishing communities. Whatever view is taken, everyone agrees that the introduction is a classic example of the negative impact aliens can have on an established ecosystem. 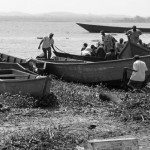 And the spectacular commercial success of the Lake Victoria fishery may not last. Over-fishing is dramatically reducing Nile perch stocks, and the good times could be coming to an end. Just as cow pasture ploughed to grow arable crops produces spectacular initial yields that drop away as the natural fertilizer is exhausted, so the boom years for fishermen on Lake Victoria may be coming to an end as the bill for meddling with Nature is presented. Death toll: Countless millions of native fish, with many of Lake Victoria’s 500 species vanishing altogether. You should know: Sometimes, painful eco-lessons do get learned. The Australian state of Queensland – having suffered mightily following the introduction of cane toads in the 1930s – has made it a serious offence to be found in possession of a five Nile perch, it is thought that – should the dominant predator become established in local waters – it would swiftly decimate the popular native barramundi, a similar but smaller fish. Britain has long been a haven for immigrants. This enriches the nation, though not without difficulties along the way. 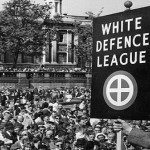 Echoes of Sir Oswald Moseley’s pre-war British Union of Fascists attacking the Jewish population of London’s East End could still be heard in the 1950s, not least because the right-wing baronet had founded the Union Movement in 1948. It soon had a new target. A wave of immigration from the Caribbean after World War II contributed to economic recovery but created social tension – particularly in areas where newcomers settled in large numbers, causing the local working-class population to feel that its hegemony was threatened. Meanwhile, rebellious youngsters were breaking free from traditional constraints and roaming the streets in gangs. They disliked immigrants, parroting the slogan ‘Keep Britain White’, and by 1958 were becoming increasingly bold. A series of racially motivated incidents took place in Notting Hill, West London, but ironically the one that had disastrous consequences involved an attack by white youths on a white woman. On August 29 she was with her Jamaican husband, rounding on the gang when they shouted racial taunts. Seeing her again the next evening, they pelted her with bottles and stones before hitting her with an iron bar. This sparked an explosion. White mobs attacked West Indian homes, occupants fought back and the infamous Notting Hill race riots began. The police proved unable to prevent violent disturbances and rioting, which continued for several nights until it petered out. Over 100 people were charged with offences ranging from grievous bodily harm to affray (72 were white, 36 black), but the real significance of the Notting Hill riots was their role in bringing simmering racial tensions to national prominence, beginning a debate on the pros and cons of mass immigration that continues in Britain to this day. 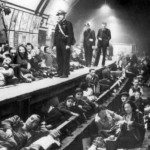 Toll: With good reason, London’s black population acquired lasting suspicion that the Metropolitan Police was biased against their community, a problem that still exists 50 years on despite strenuous efforts to eradicate institutionalized racism within the force and to build bridges with ethnic minorities. You should know: The famous Notting Hill Carnival was started by Claudia Jones in 1959 in an attempt to ease the tensions caused by the previous year’s riots and make a positive contribution to the state of race relations in Britain. Far from land in the sub-Antarctic region of the Indian Ocean lie the Prince Edward Islands. There are just two small islands in the group – Prince Edward Island and Marion Island – and the only human inhabitants are the South African National Antarctic Program’s staff at a research station. After intermittent occupation by sealers, wreck hunters and those collecting guano for fertilizer, the islands were claimed by South Africa in 1947 and the research station was established on Marion Island, a rocky volcanic peak around 19 km (12 mi) long and 12 km (7 mi) wide, surrounded by towering cliffs. When the new buildings suffered a mouse infestation, a simple solution was adopted. In 1949 five domestic cats were imported to see off the unwelcome rodents; but someone forgot to have them neutered. The consequences were disastrous. Within 30 years there were 3,500 feral cats on Marion Island, feasting not on mice but the very birds the scientists were there to study. The fearsome felines were particularly fond of petrels, burrowing birds that were easy meat in the breeding season. Some species became extinct on Marion Island and it was only a matter of time before they all went, with even penguin and albatross chicks suffering severe depredation. It had to stop, and stop it did – not in the kindest of ways. 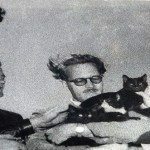 In 1977 a specific feline virus was introduced, wiping out most of the cat population, and thereafter resistant animals were culled by trapping and night shooting. By the mid 1990s the cats were gone, though some suggest a few hardy moggies may still lurk in hidden corners. The unintended consequences of introducing non-native animals to a balanced natural habitat were plain to see, but in this case it was ultimately possible to limit the damage. It isn’t always so. You should know: One of the more unusual – unique, actually – sights the researchers on Marion Island have seen was a seal trying to mate with a penguin, which just goes to show there’s no accounting for taste… even in Nature. It was Puerto Rico’s fault. The Caribbean island introduced the Giant Neotropical Toad (officially Bufo marinus) from nearby Central America in the early years of the 20th century, in an attempt to control damaging beetle infestations in sugar cane plantations. The cunning plan worked, establishing this large terrestrial amphibian as the sugar planters’ friend and earning it the popular name ‘cane toad’. But this is not a nice creature, growing as it does to a maximum length of around 38 cm (15 in), weighing in at up to 2.65 kg (5.8 lb) and protecting itself by excreting deadly toxins. The warty cane toad is a prolific breeder and its tadpoles, too, can prove fatal when ingested by predators. Undeterred by this alarming CV, and encouraged by results in Puerto Rico and Pacific islands like Hawaii, a few hundred cane toads were introduced to Australia in 1935. A half-hearted study into the newcomers’ feeding habits was conducted – which failed to detect the fact that they would prove ineffectual in controlling the very beetles they were expected to eradicate – before over 60,000 toadlets were released into the Queensland cane fields the following year. It ultimately proved to be a disastrous decision. Not only did the interlopers fail to control pests that were ravaging the sugar cane, but they also had a hugely negative impact on indigenous wildlife. From relatively small beginnings the population expanded to the point where it is estimated in the hundreds of millions, with an increasing range that now encompasses the whole of Queensland plus large areas in New South Wales and Northern Territory. Australia’s isolation ensured that it developed a balanced ecological system, but the introduction of feral species like rabbits, domestic cats and foxes after colonization and latterly the cane toad – has seriously disrupted the natural order of things. Death toll: Many millions of native animals, notably cane toad predators like the Northern Native Cat, monitor lizards, land snakes and freshwater crocodiles whose populations have declined significantly as a result of eating the poisonous amphibians. 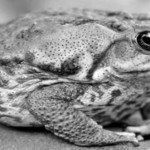 You should know: One of the chemicals produced by a cane toad in defensive mode is bufotoxin, which induces pleasantly mild hallucinations and is a banned Class 1 drug in Australia. Unfortunately, thrill seekers who lick cane toads in the hope of achieving a ‘high’ ingest a cocktail of powerful toxins that can prove fatal… and has been on several recorded occasions.